I have contemplated how to finish this piece for weeks/months. I should have listened to that little voice in my head that said, “Send it to the finisher.” But no I just kept looking at it and I had a friend who had stitched one (she sent hers to the finisher) and I figured I could manage this myself. 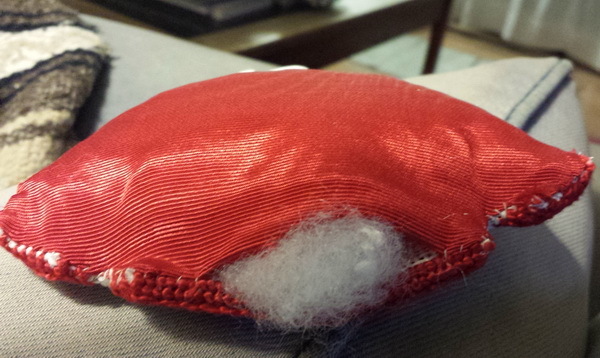 Afterall it was just a stand up without the stuffing… and ornament in 3-D…I can do this. Once I took the plunge it was a long way down to the finish; this project took me at least two weeks to complete. I would breeze right along and then I would hit a rough patch and it would take me a couple days to get through it. I’ll let you know as we go along where, when and why I became frustrated. I also made two copies of the pieces on the printer/copier for patterns. 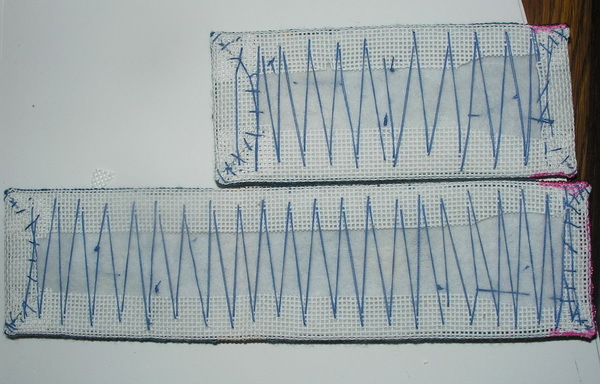 Remember copies of copies are a bit smaller, I think the standard is about 97-98% smaller; so when you make a copy of your stitching it is already a bit smaller. And sometimes I use more than one copy and so I have a second in reserve in case I need it. It is hard to make a second copy once you have started or cut the first copy. I started finishing the wings, they were easy; they were like a soft ornament. (see: https://sudukc.wordpress.com/2016/03/23/finishing-ornaments-3-soft-ornaments/) I cut out one of the copies for a pattern of each wing. I colored the edges with my Copic pens (https://imaginationinternationalinc.com/copic/), I don’t like grin through. 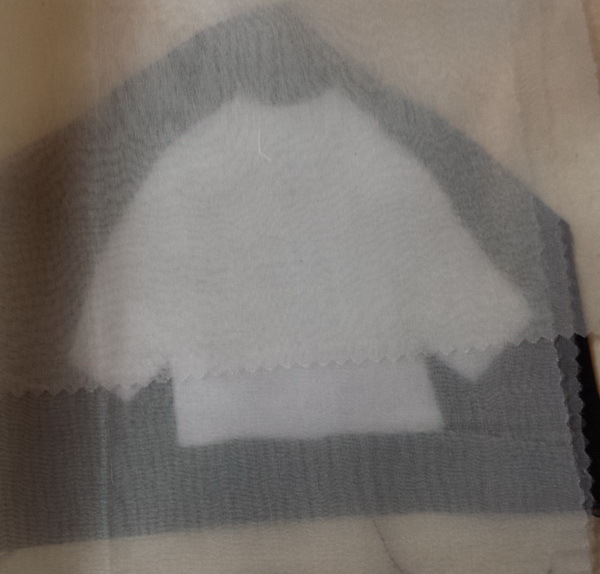 I trimmed the canvas to within a 1/2 inch of stitching and clipped the curves. 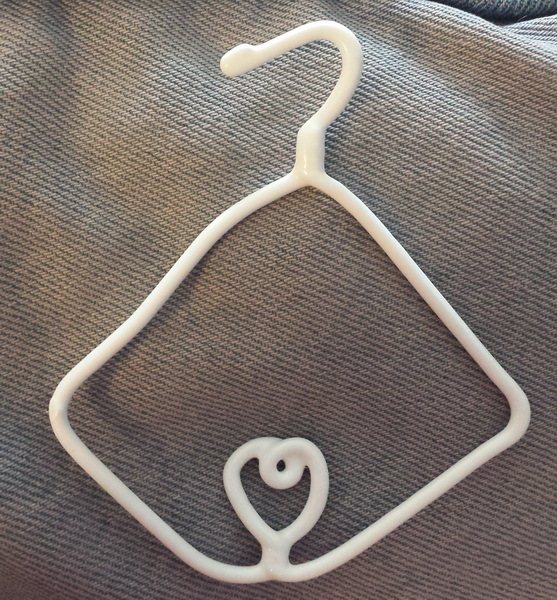 I finger pressed to the back and used Clover clips to hold in place. 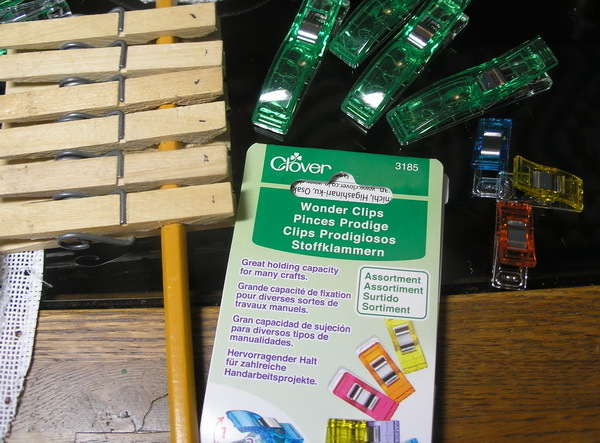 These clips come in several sizes, I like the green jumbos best (http://www.joann.com/clover-12pcs-jumbo-wonder-clips-neon-green/14789036.html). I buy them at JoAnns with my $$ off coupons. I stitch the canvas to the back with a double waxed sewing thread. 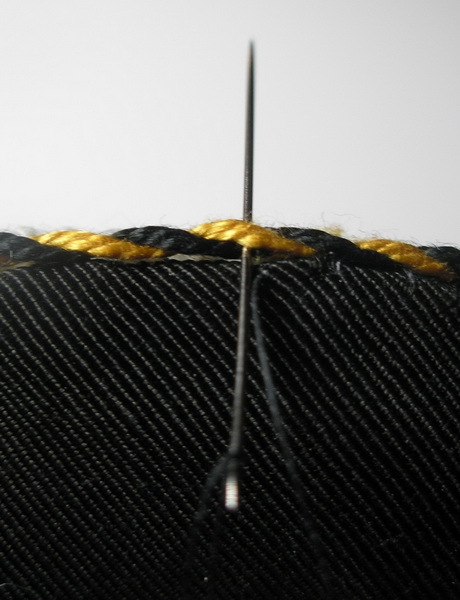 Always wax your thread…it makes it stronger and it keeps it from twisting and knotting. I used a small piece of ultra-suede I had to back the wings; I used each stitched wing to cut a backing fabric. 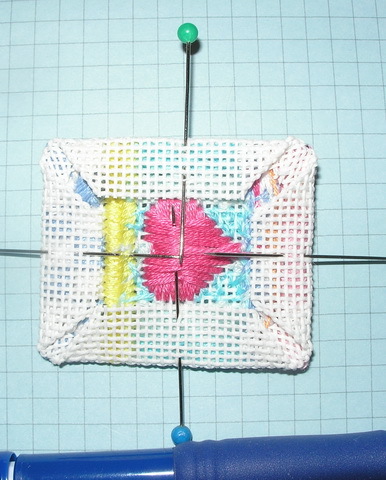 I marked the stitched needlepoint onto the wrong side of the fabric and clipped the curves. I cut two pieces of low-loft quilt batting using the patterns I made for the wings. I used one of the quilt battings to stabilize the backing fabric and to give me something to fold the ultra-suede back onto and it also gave me something to baste the fabric in place. 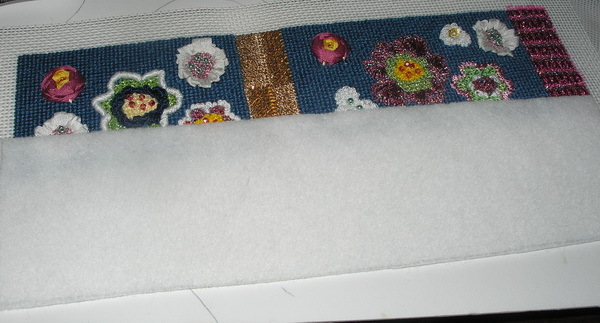 Then I sandwiched all together: needlepoint second batting and backing and pinned together. I stitched the wings. 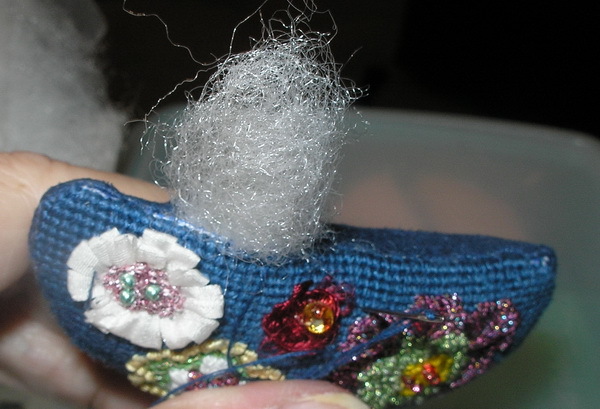 I also decided that there was not enough dimension to the wings so I stuffed them with fiber-fill. I didn’t think I filled them too much but they proved to be a problem later on. I also made a smal l cording, joined and stitched it around the wings…The wings were completed and truthfully I think this took me a couple days, but they were no problem. 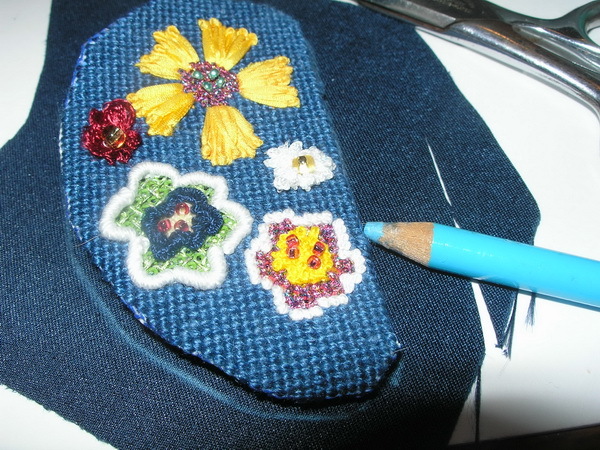 Next I finished the side straight pieces; one short and one long…these had the decorative flowers stitched on them. 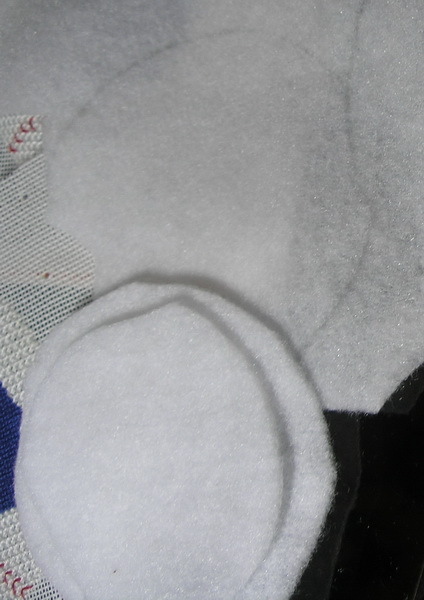 I used pretty much the same method I had used finishing the wings without the fiber-fill. Using the patterns I cut batting for large and small side pieces. 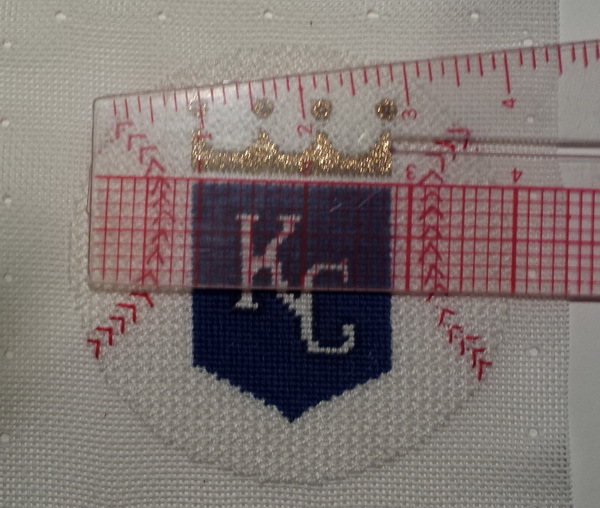 I cut the needlepoint to within 1/2 inch of stitching. 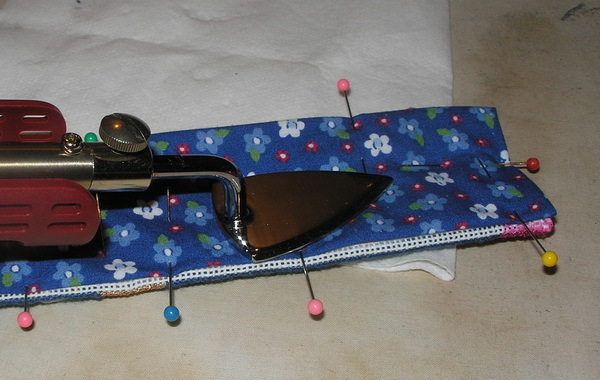 I finger pressed the edges to the back mitering the corners around the craft weight quilt batting, pinning in place. Using a double waxed length of sewing thread I laced the sides together, starting in the middle and working toward ends and stitching the mitered corners. Then I cut backing fabric 1/2 inch larger that the needlepoint. I finger pressed and pined to be just slightly smaller than the finished needlepoint. I pressed this in place with my new gadget I purchased some time ago to help with finishing. 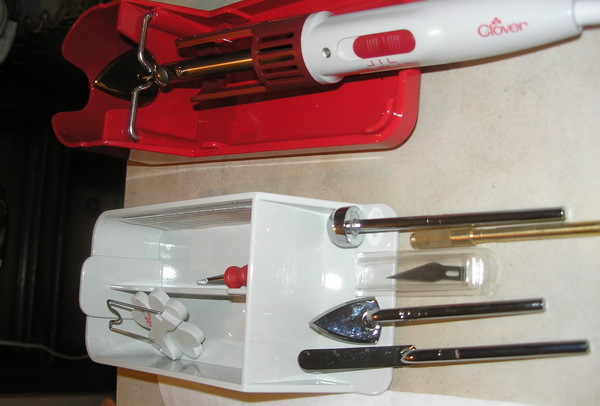 It’s a Clover Mini Iron with all sorts or attachments. It has a large and small iron head, a ball head (I think for curves, a long thin head (probably for corners and a cutting knife. 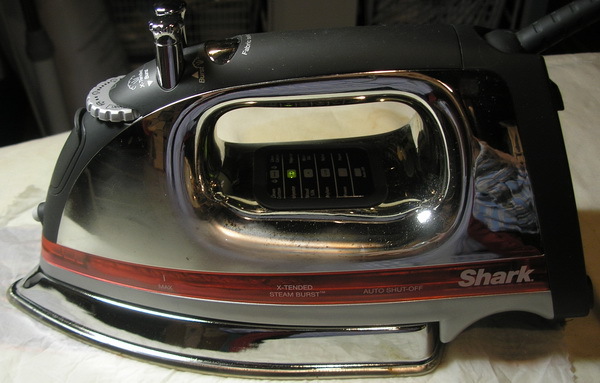 And I doubt I will ever use the cutting knife since I do not want to gunk up the iron for finishing. 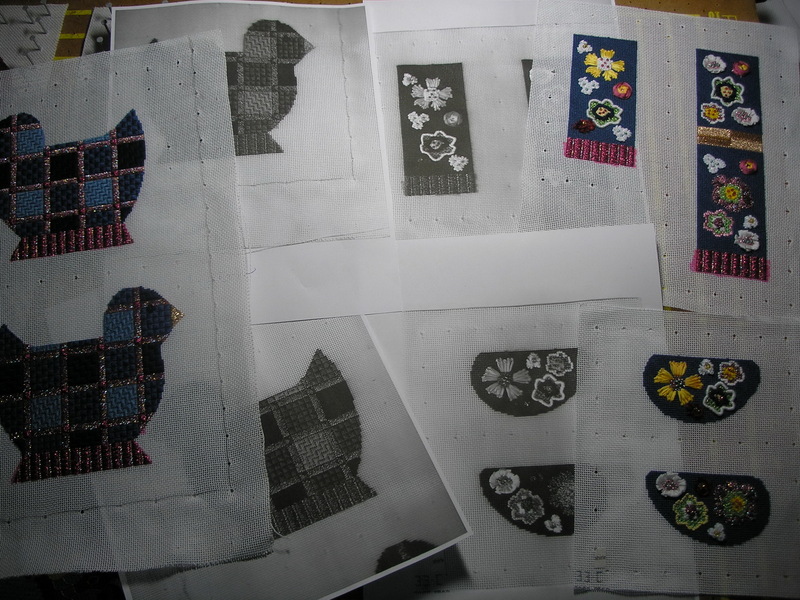 The reason that I stitched these slightly smaller than the needlepoint is because when I assemble the pieces together I am going to join them together through the needlepoint and therefore the lining needed to be slightly smaller because it will be inside the bird. 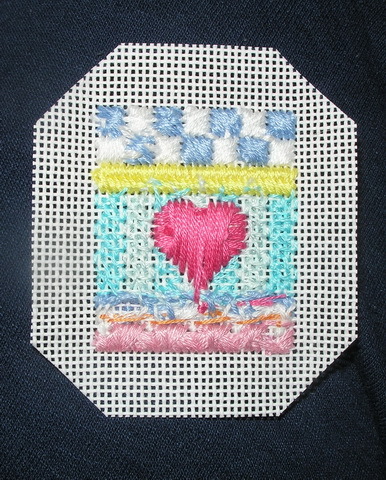 I stitched the backing to the needlepoint using a single waxed thread. These pieces went quickly and I thought I was on a roll; then finish came to an abrupt halt. 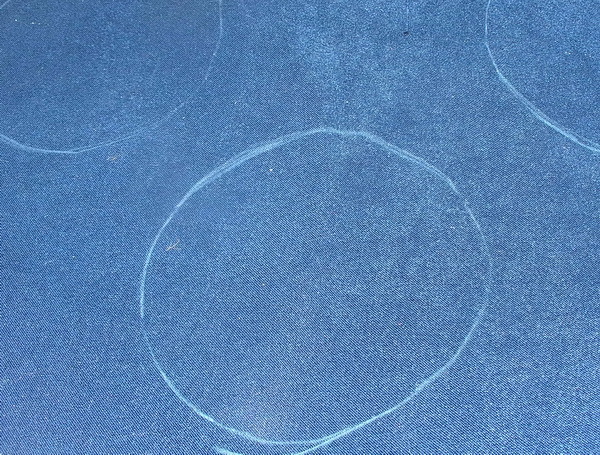 I’m going to break the ornaments up into types, so we will start with the round ornaments using illustration board. 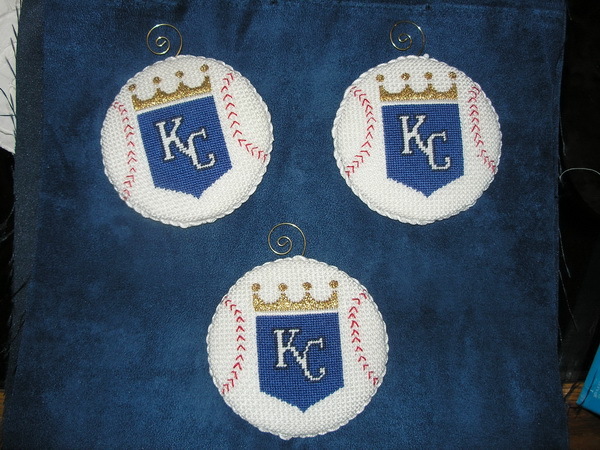 There are 2 methods to finishing these ornaments: sewing and using glue. I will show you both, it is up to you to make your own decision to which to use. My ornaments are not going to the Smithsonian; my grandchildren hand them on real trees (pine oil) and there is the time it takes to do all by hand (hand sewing takes about twice as long). 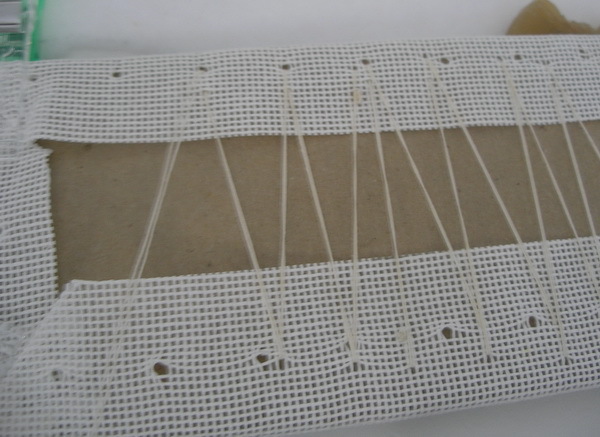 There are clips on the market for holding canvas and fabrics in place. They come in two and maybe three sizes (I just have two); they are usually found in quilt departments of fabric stores or quilt shops. 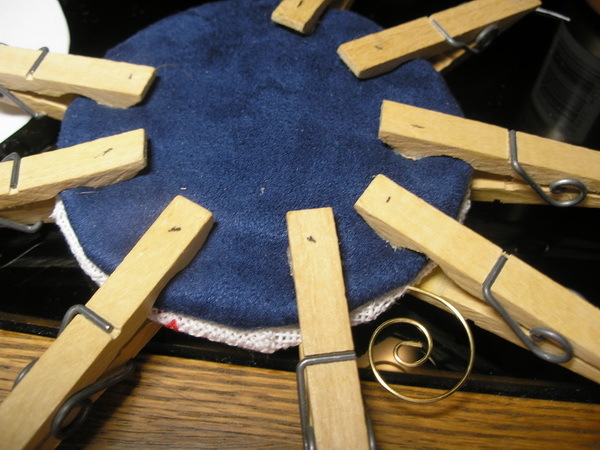 I prefer the green ones to the mini ones and really I usually grab my old fashion clothes pins 1st. 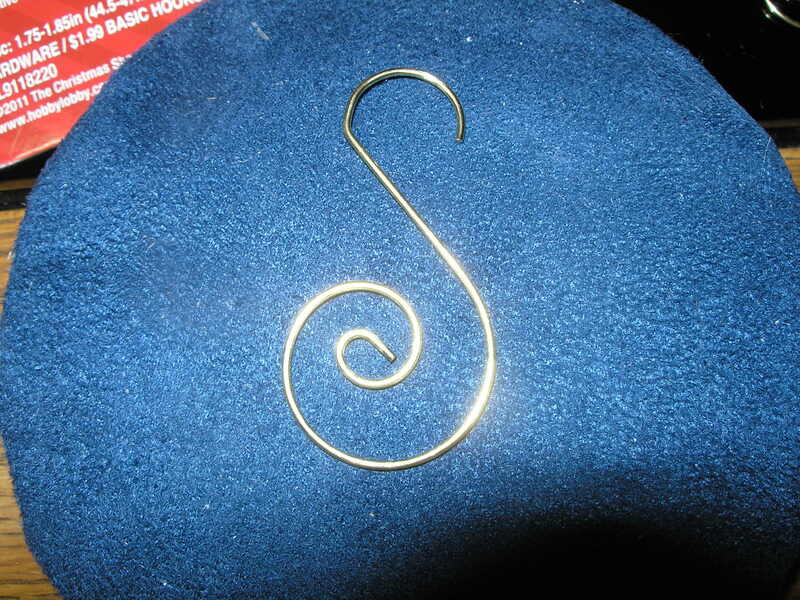 Hooks: for Christmas ornaments: these are found at craft stores and come in gold and silver. 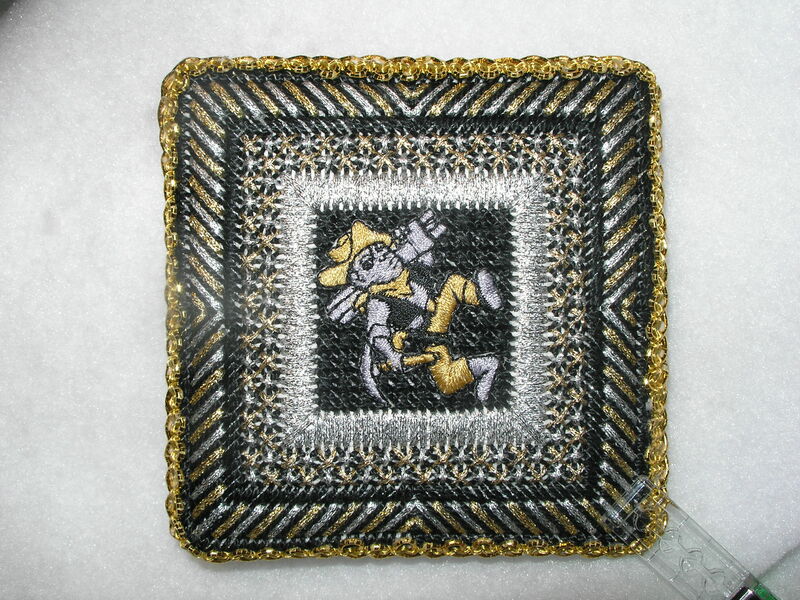 I like the decorative ones for finishing needlepoint because I have never been happy with cording loops. 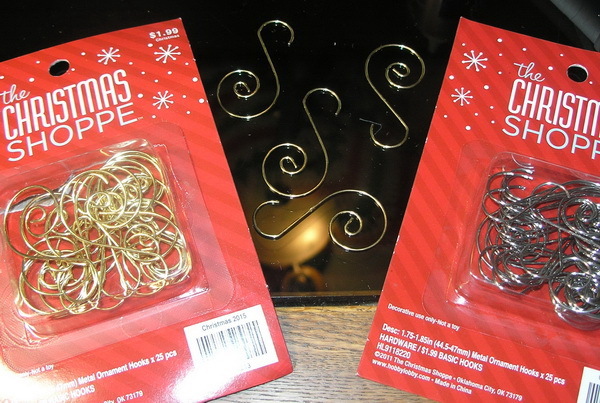 My cording loops either are too long or too short, but with these, you can use a second one of the same hook or the more tradition ornament hook to hang them. 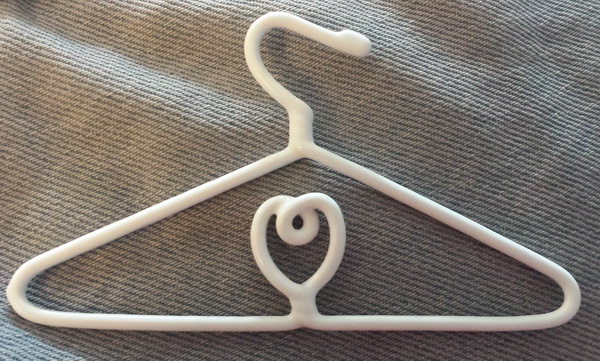 And should you decide to hang them on the wall, this hanger makes a nicer presentation. Glue: If you decide glue is not a four letter word in finishing here is a helpful hint, especially when glue is less than half full. 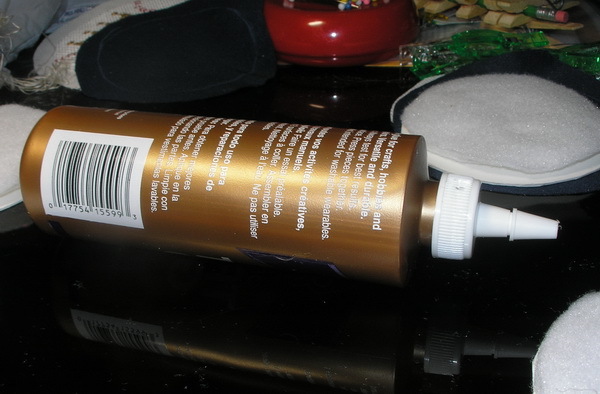 Lay the glue container on its side with cap on, make sure the tip is over a plastic lid to prevent accidents…Use a large lid and lay the entire bottle in it. 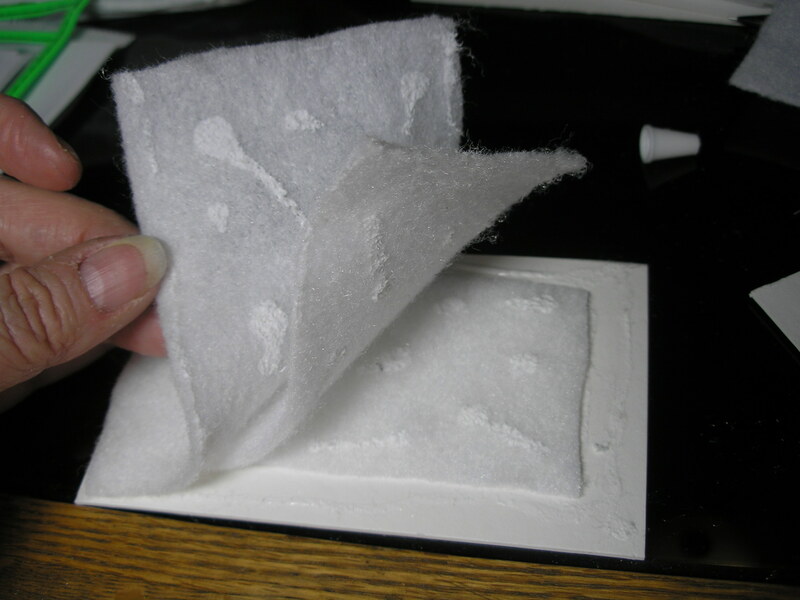 I use old credit cards or a scape of illustration board to spread glue, keeps my fingers clean. I also keep a damp rag handy when using glue. 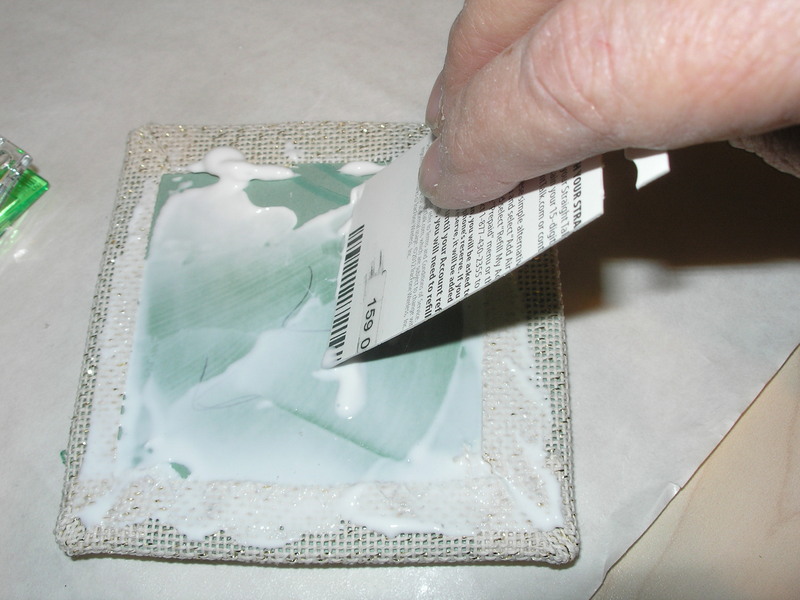 It helps keep glue off your fingers and it can also help if glue gets on fabric or needlepoint accidentally. 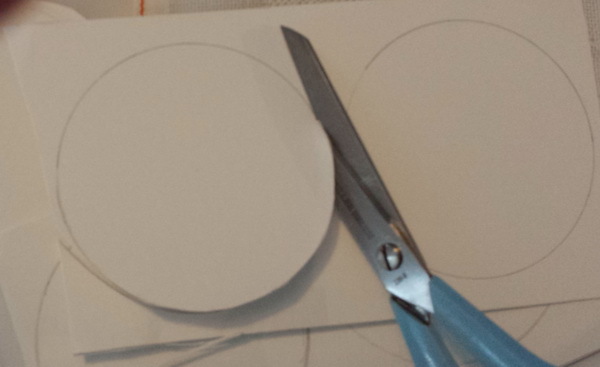 Measure ornament and make illustration board cutouts; cut two same size: one for needlepoint, second for backing. 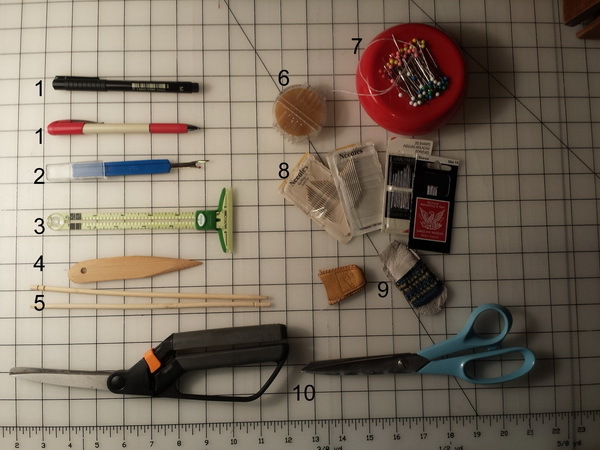 I usually make these a tad smaller than the measurement; this is not an exact measurement, it is really by trial and error method because it actually depends on how much padding you use. 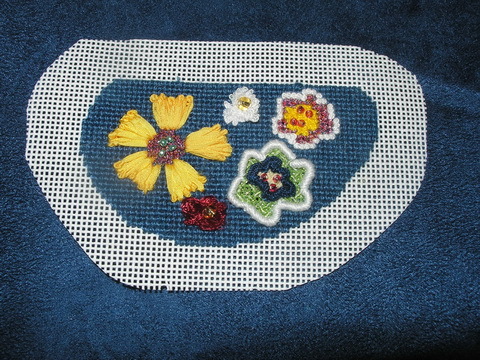 Example: needlepoint measures 3 inches I make the illustration board about 2 7/8 inch around. 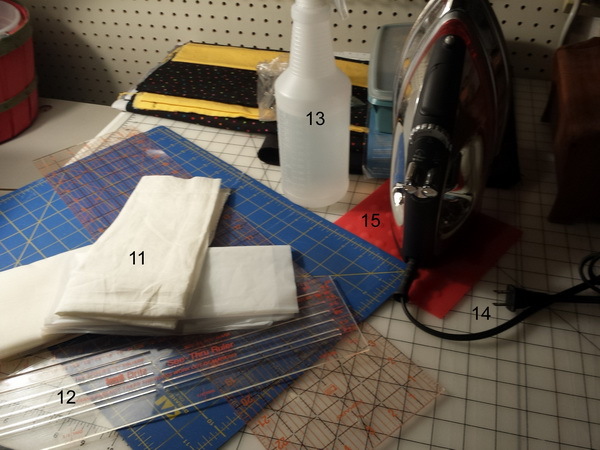 Cut quilt batting; I usually use two or three. Number 1 is cut about 1/4 inch smaller than illustration board; Number 2 is cut 1/4 inch smaller than first; and Number 3 is cut a 1/4 inch smaller than number 2. You can do this as many times as you want, but four is about the most I’ve seen. 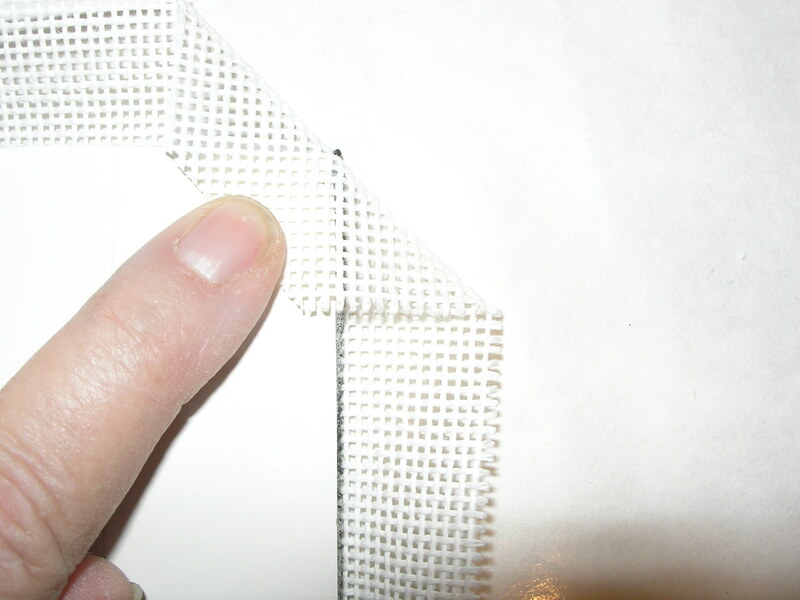 Cut backing fabric 1/2 inch to 3/4 inch larger than the illustration board. 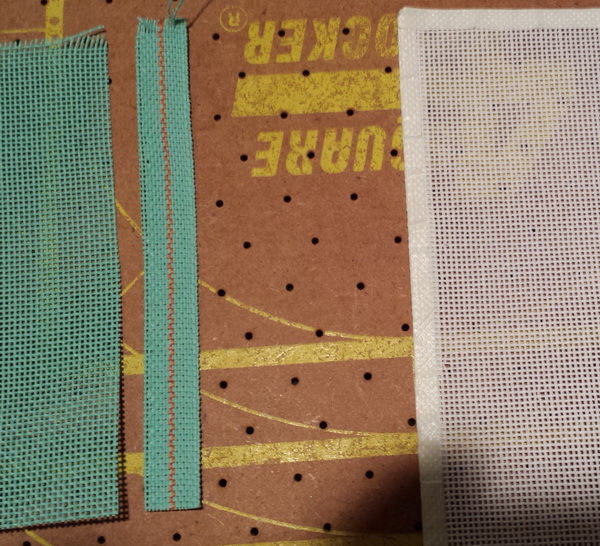 Cut needlepoint 1/2 inch to 3/4 inch larger than the illustration board. 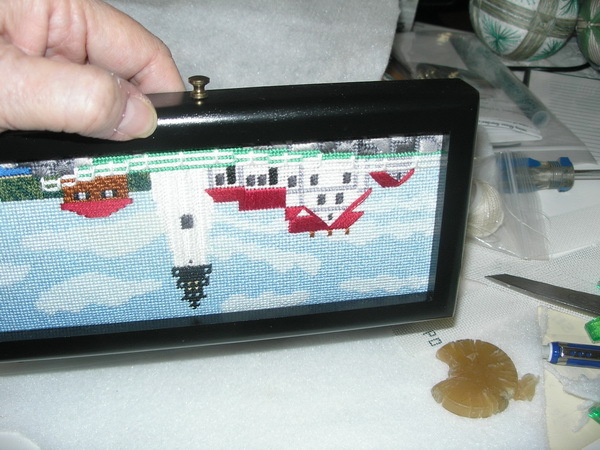 If using a lining for needlepoint cut this too. 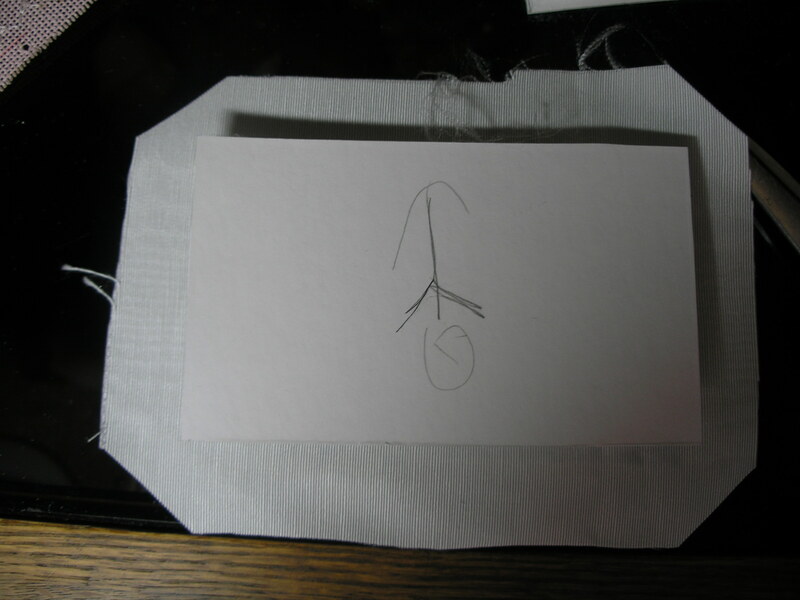 I glue the quilt batting to the illustration board with a dot of glue to hold in place. Start with smallest cut batting and largest batting goes on top. 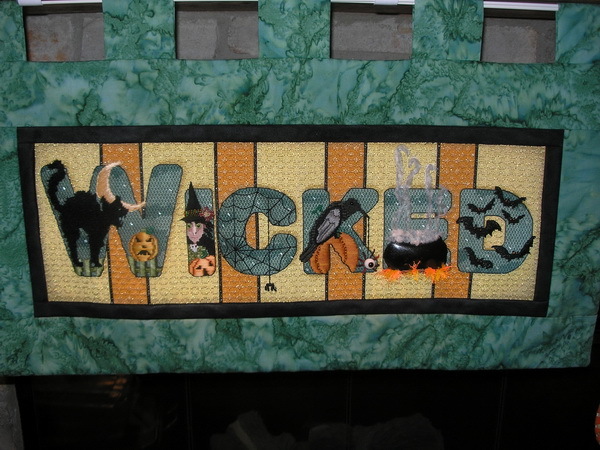 With wrong side of needlepoint up, place illustration board over needlework. 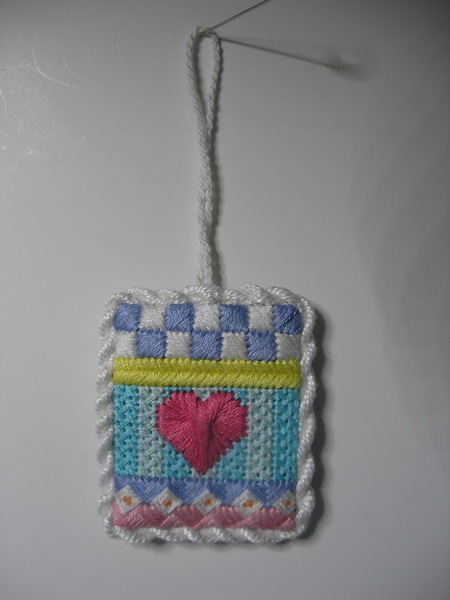 Clip needlepoint. With a double waxed thread begin to lace the needlepoint onto the illustration board. 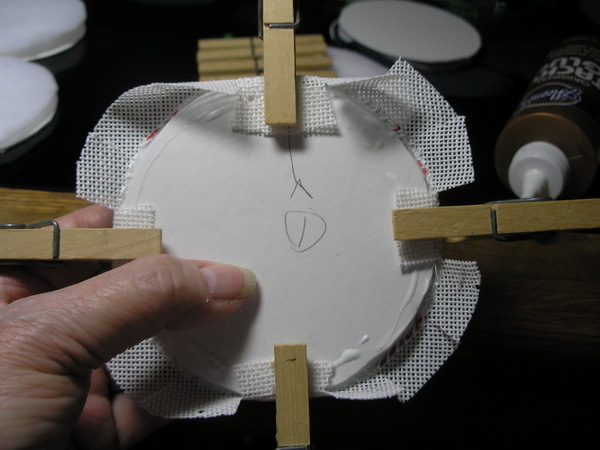 Start at 12:00 and work clockwise, pulling canvas taut but not tight enough to warp illustration board. Place the two canvases together and pin. With back side (backing fabric) toward you ladder stitch together with a waxed heavy duty (quilt thread). 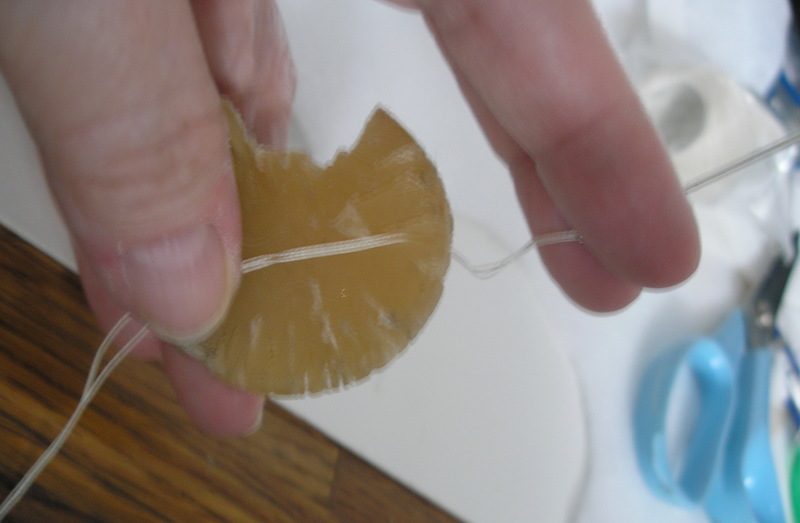 A double waxed thread may be used too. 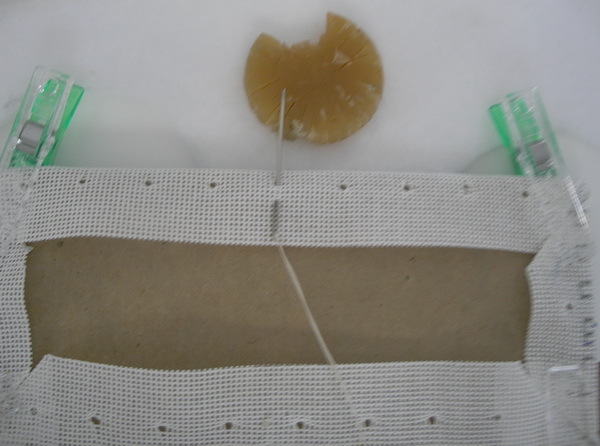 Leave an opening to place the cording ends between the layers. 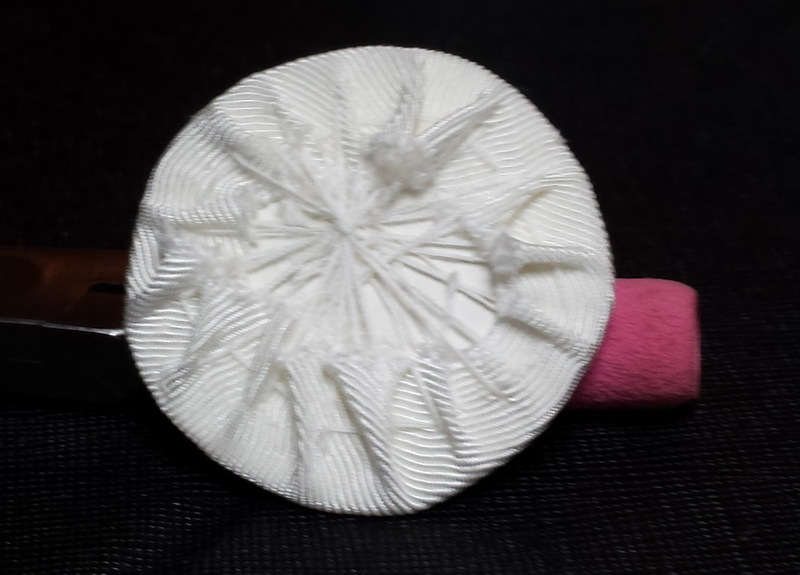 Make cording and attach with pins. 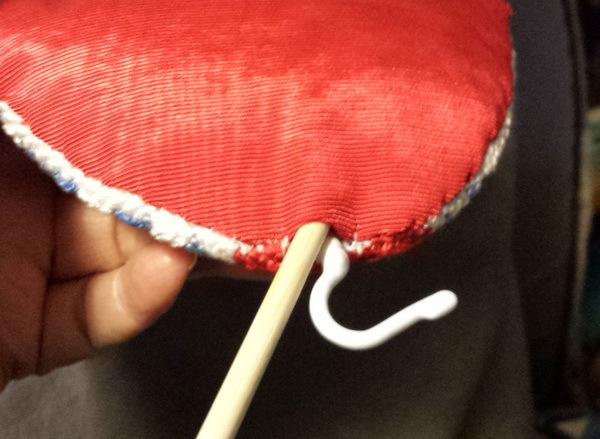 Hide one end in the opening left in Step 11 and when finished placing cording hind second end. 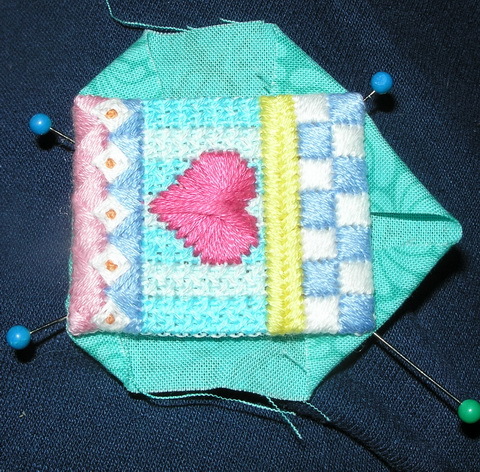 With back side (backing fabric) toward you stitch cording to canvas with 1 strand of waxed thread. 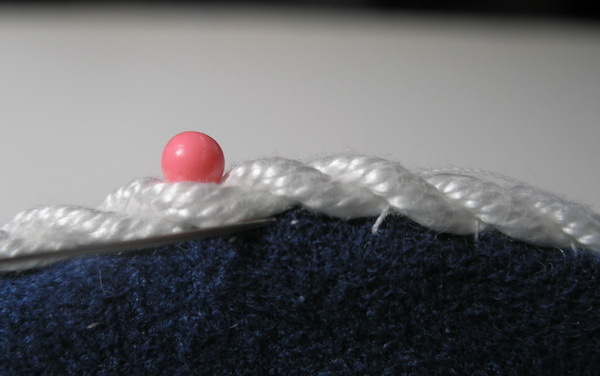 This thread should match the cording and if multi colored cord match fabric backing, whatever is most inconspicuous. 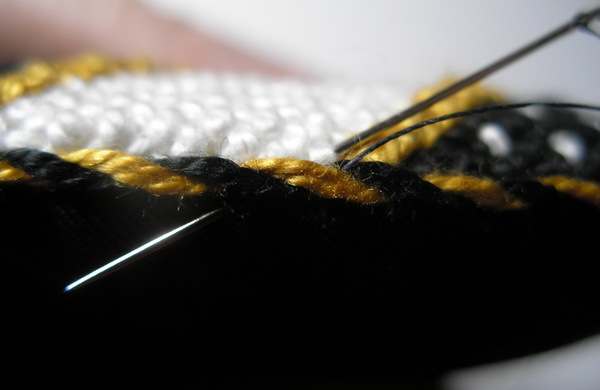 Stitch through the cording, NOT over the cording. 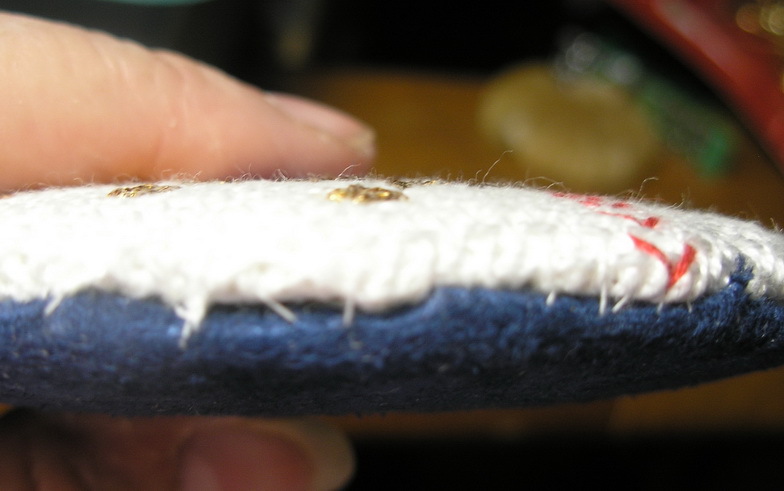 Stitching over the cording creates dimples in the cording that are not pretty. 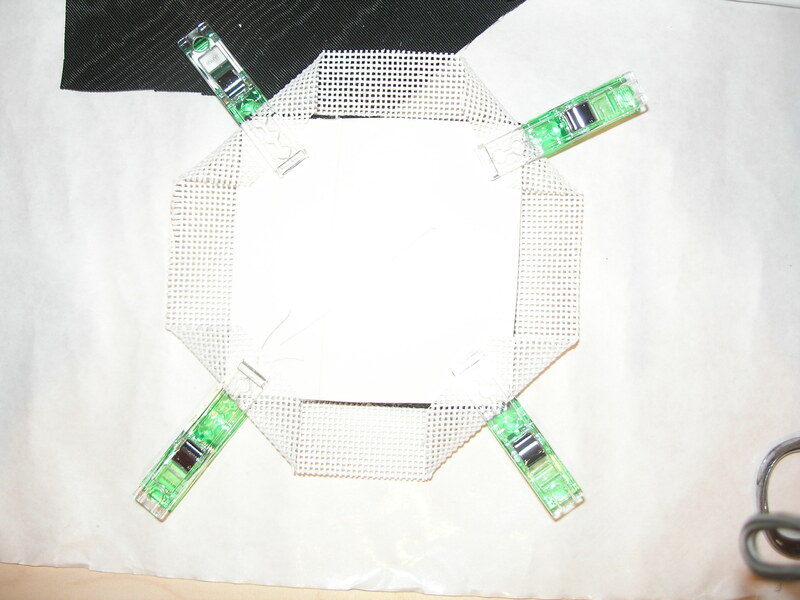 The second way is to glue the ornament to the illustration board. 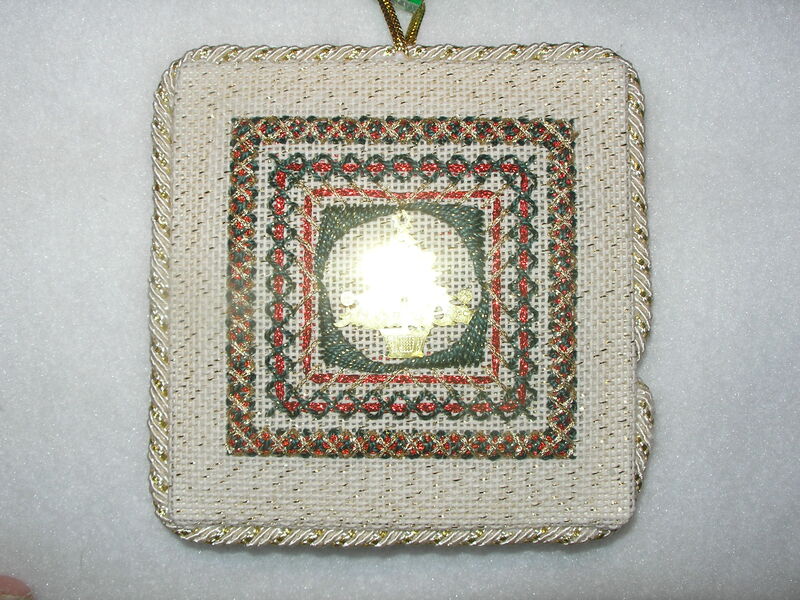 There is not much difference except you are not lacing the needlepoint and backing nor sewing the ornament together. 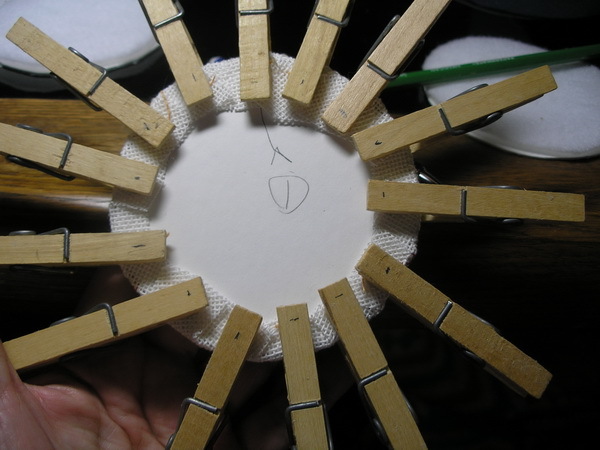 It is much quicker, but does take some time to master not gluing yourself too. Keep a damp rag handy and keep area clean. With wrong side of needlepoint up, place illustration board over needlework. 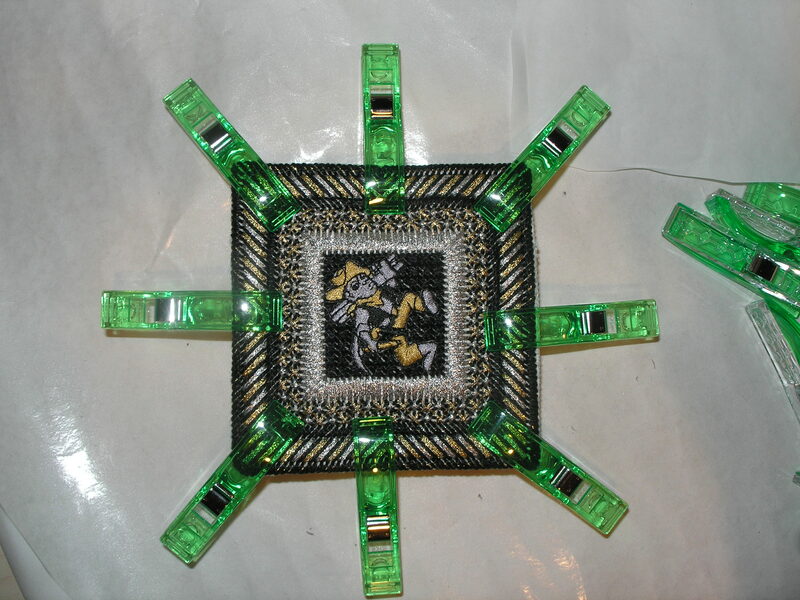 Clip needlepoint with scissor. 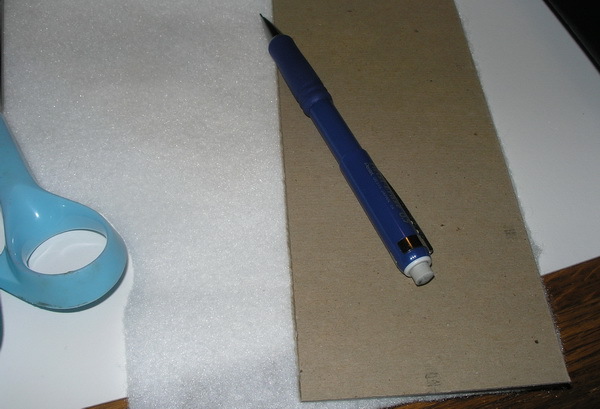 Place a bead of glue on back side of illustration board around the edge. 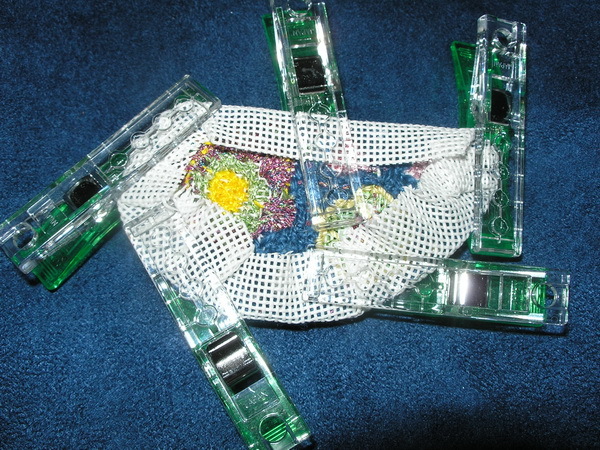 Start at 12:00 o’clock postion and use one of the clips to secure needlepoint to illustration board. Move to 6 o’clock postion and repeat. 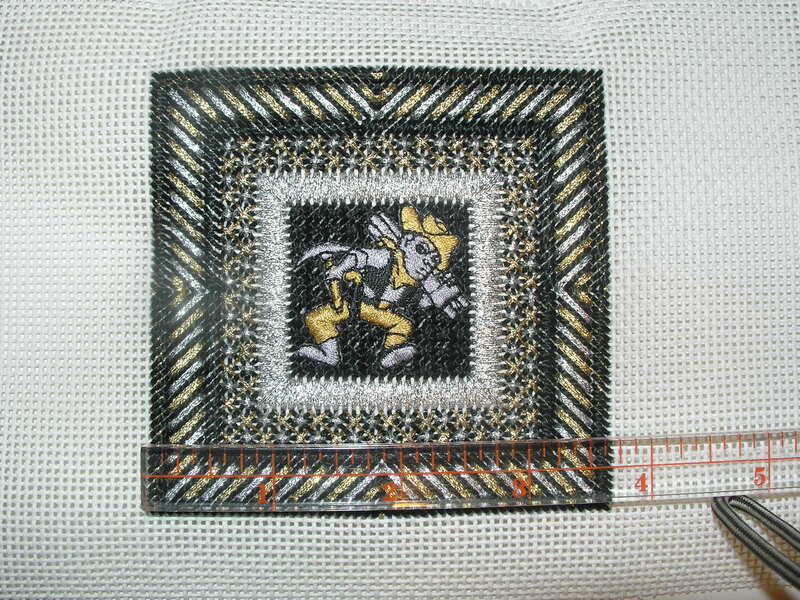 Do 3 o’clock and 9 o’clock the same and then fill in the rest until all clipped needlepoint canvas is attached to illustration board. Allow to set. When set remove clips from needlepoint and backing illustration boards. 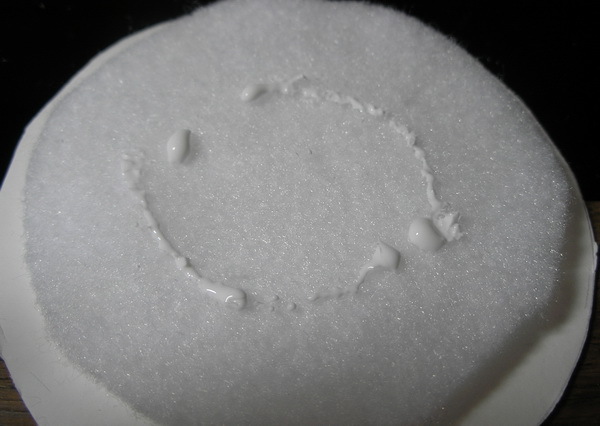 On wrong/back sides of illustration board place a bead of glue around the edge (I usually keep glue about 1/2 inch from edge as I don’t want any seeping out) and in the center . 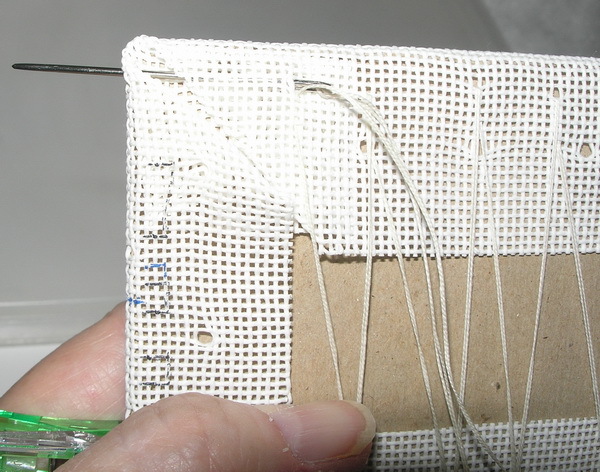 Leave an opening to place the cording ends between the layers. 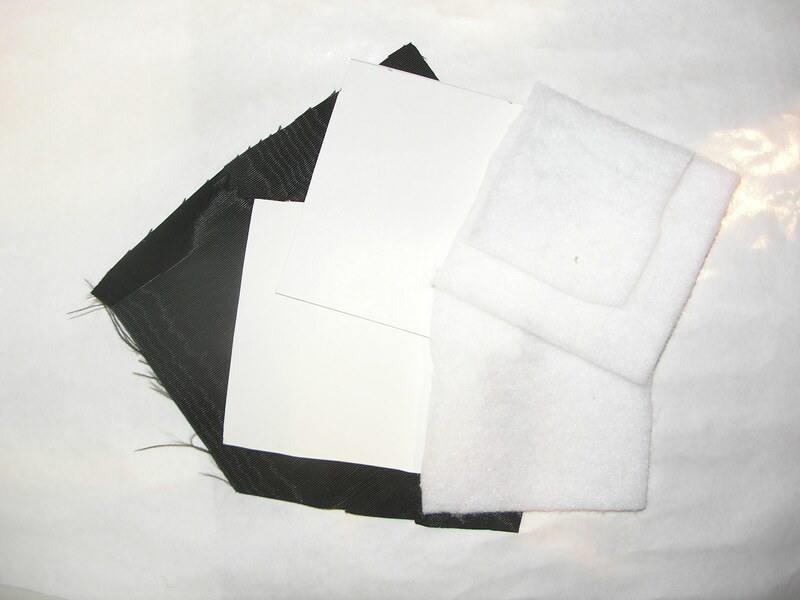 Place two canvases together and secure with clips. Allow to dry completely. 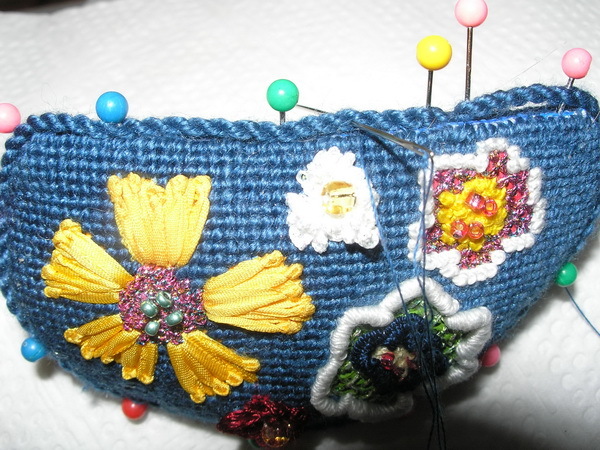 Make cording and attach with pins. 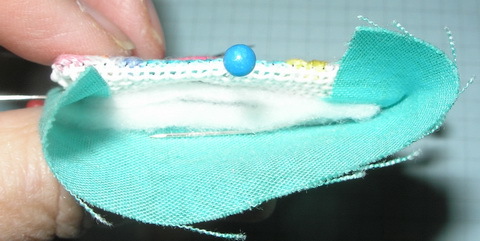 Hide one end in the opening left in Step 12 and when finished placing cording, hind second end. 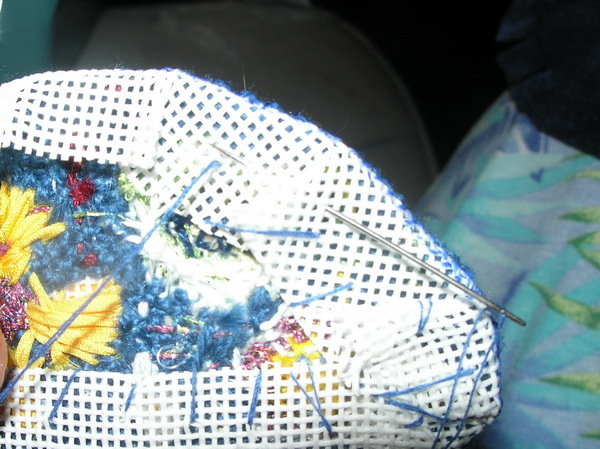 I have started on my project for the year…I will have my needlepoint finished this year! I am going to do it myself or send it out. I must tell you that I have great anxiety over trying to finish large stand-ups and pillows. I have these visions in my head of boxing some stand-ups and pillows and I have NEVER made a pillow in my life. This may be a real learning experience, but that is down the road and we won’t worry about it now because we are going to start with things we know and work up to the big things. 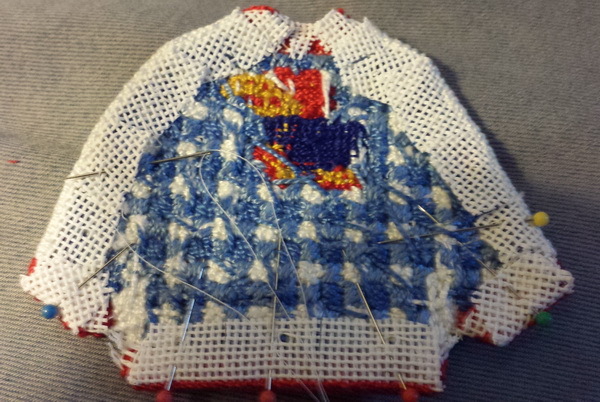 Should your needlepoint need washing, I would have the piece professionally done. I am always afraid of wetting a canvas too much and having threads bleed. “Orvus” seems to be the recommended thing to use if you are going to try and wash your needlework. I personally think an ounce of prevention is worth a pound of cure. 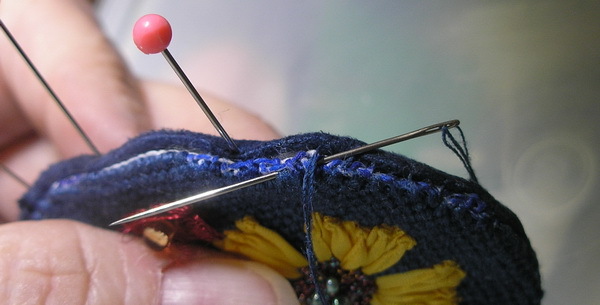 I wash my hands before I stitch and liquids around needlework is an accident waiting to happen. I keep my drinks a few feet away from my needlework and my computer…two reasons: 1. Liquid and computers or needlework do not mix. And 2 I get my exercise getting up to walk to my drink…that’s not to say I have not left many a cup of coffee to get cold, but it’s not going to hurt anything either. Blocking is essential. 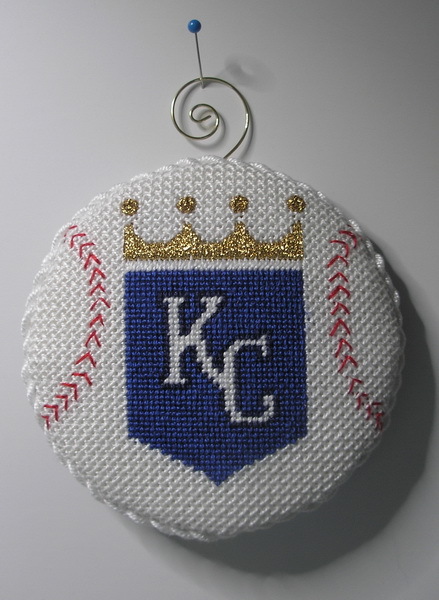 Even if you stitched on a frame and your needlepoint looks perfectly straight, it needs to be blocked. 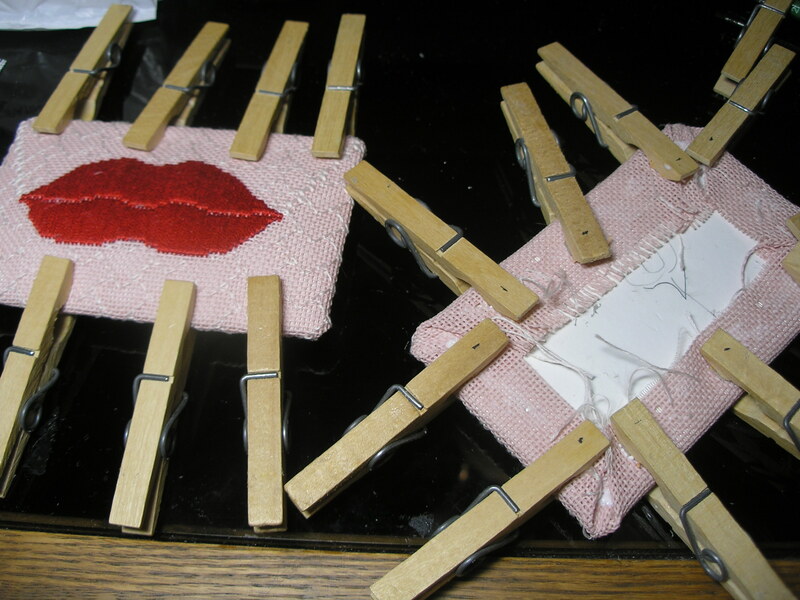 Blocking is not easy and if you do not have a blocking board I suggest you get or make one. 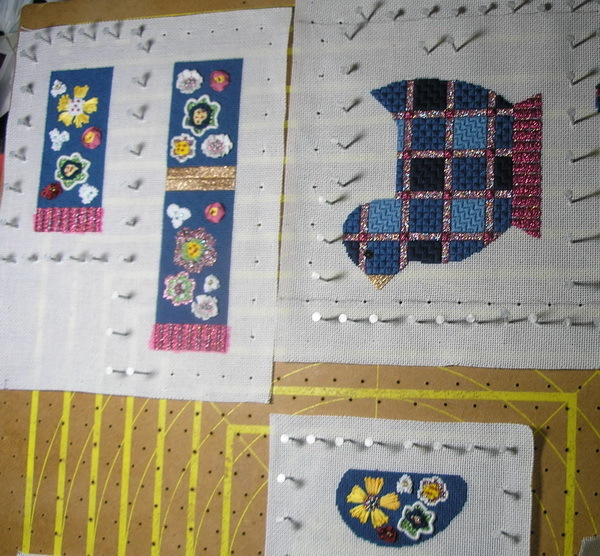 I wrote about blocking 2 years ago (https://sudukc.wordpress.com/2014/07/09/blocking-is-not-for-sissies/) and sad to say most of those needlepoint pieces in the top picture are not finished today. All I can say is I got sidetracked or it was just too overwhelming for me then. But back to blocking boards. 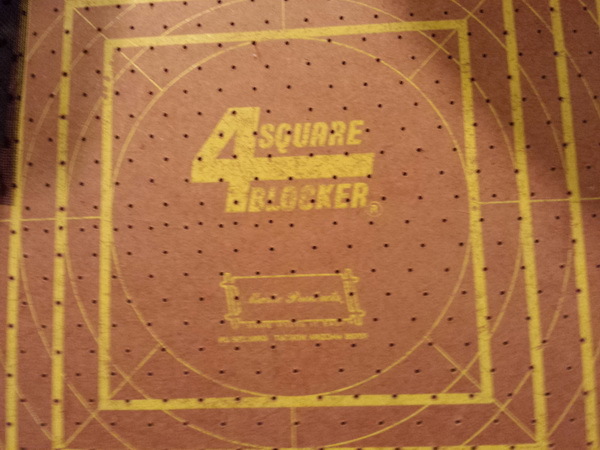 I have one, it is a Maries Products 4 square blocker, and if I can ever find another at a reasonable price I will purchase it too. I love this blocking board. It works well for me. 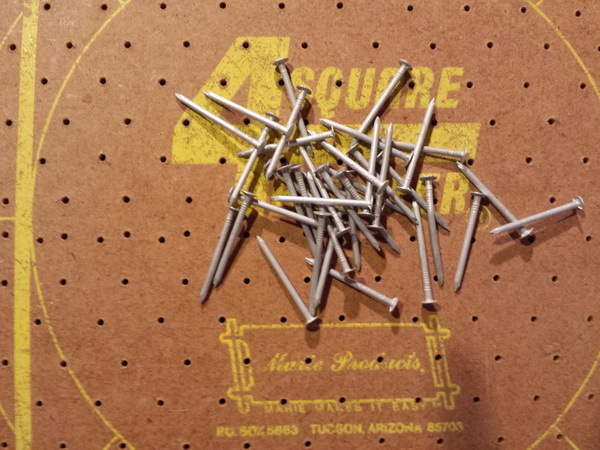 I use roofing nails to secure the needlepoint because roofing nails do not rust. I sure wish someone would make this product again. 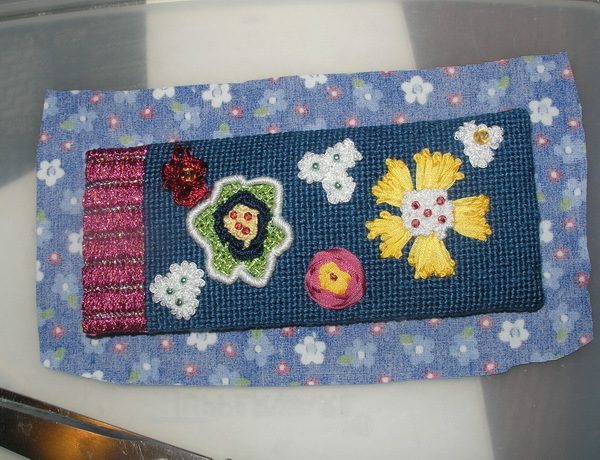 And not all blocking boards are suitable for needlepoint. 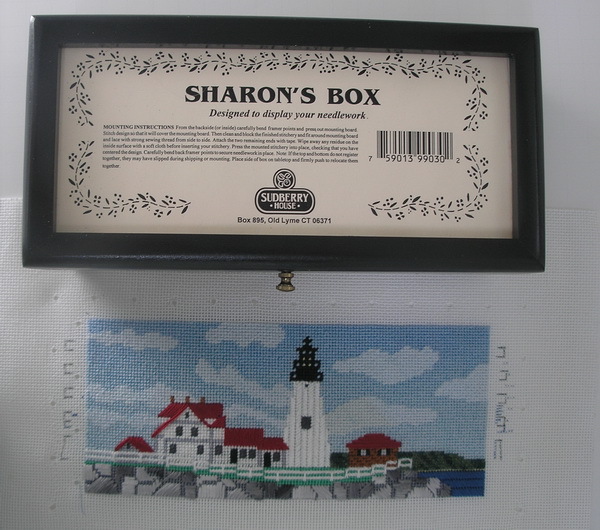 Needlepoint blocking requires that you use heavy duty tacks or rust-proof nails to block needlepoint. 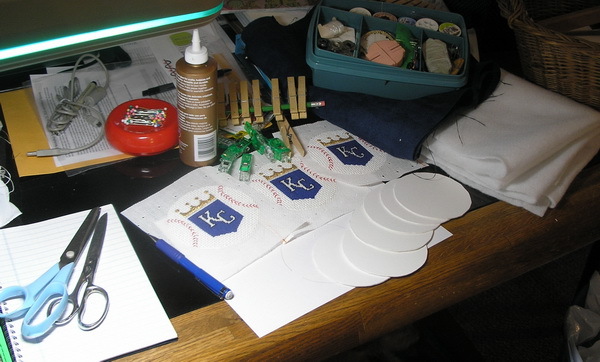 Foam or vinyl boards are not heavy enough to block needlepoint. 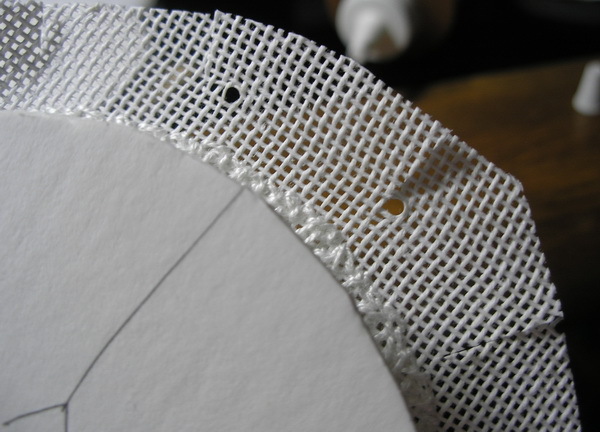 Cardboard mats with ruled lines may work for canvas that is lightly distorted, but I would put a piece of clear vinyl over any thing I use to keep a safety net between the board and your needlepoint. 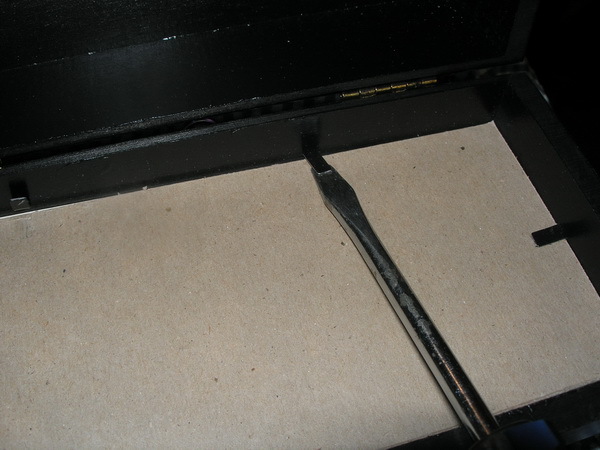 These cardboard mats may not last long either since you will be using roofing nails to hold stretched canvas in place. 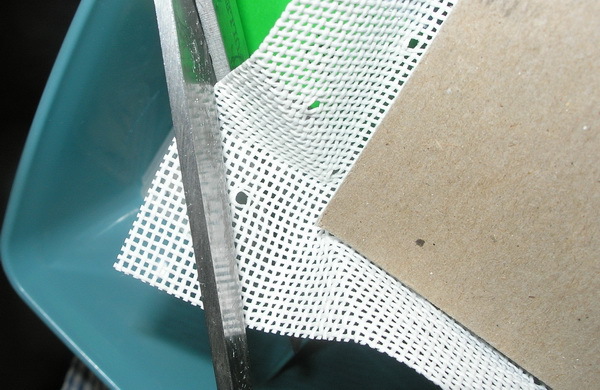 You can make a blocking board using a piece of drywall covered with several layers of fabric. I would start with 2-3 layers of bleached muslin attached to dry wall with a staple gun. Over this I would use a piece of gingham fabric (woven not printed…Woven gingham will have straighter lines) with 1 inch squares in a light or pastel color. 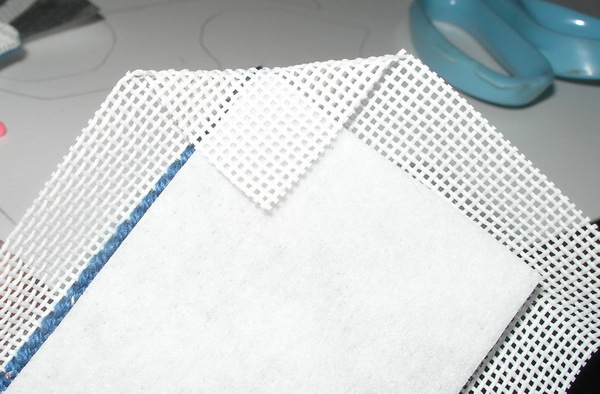 Attach gingham with staple gun using a right-angle triangle or T-square to keep lines straight. 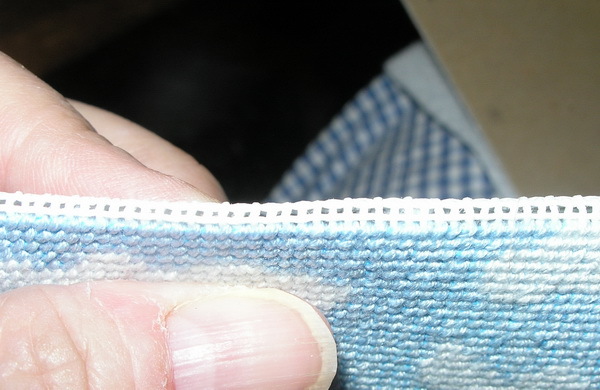 Over this I would place a clear piece of vinyl just to add that layer of prevention and prevent bleeding of the gingham. Of course you could prewash the gingham to see if it does bleed. This board will have to be replaced also. I understand you can use a piece of pinewood too, but this would require you hammer the nails into the board and it would have to be replaced too. 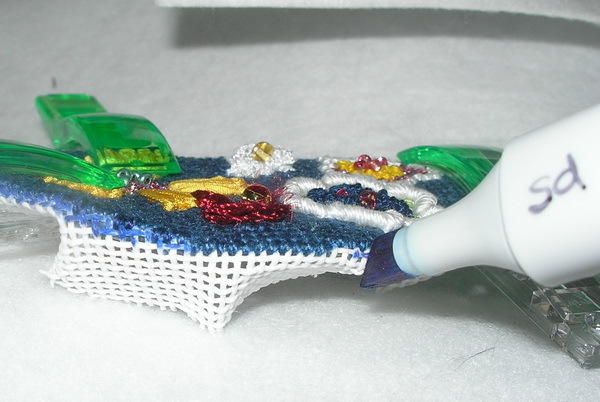 I have also known people who have blocked needlepoint on their ironing board using T-pins. 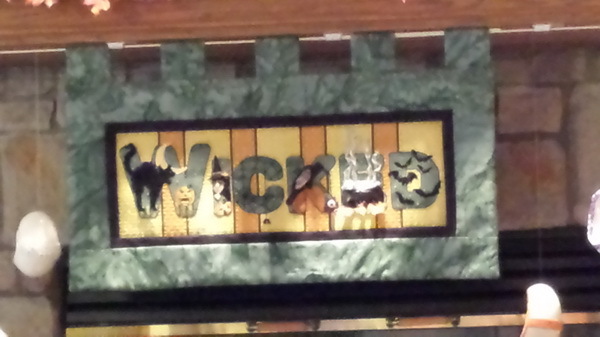 I think these needlepoint pieces must have not been out of shape much. 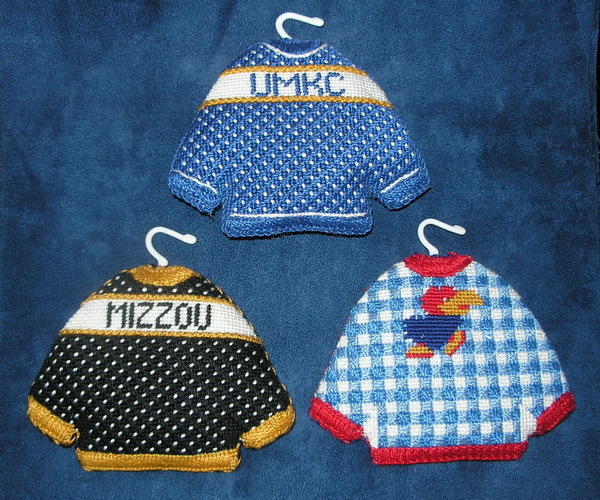 Whatever method you choose, needlepoint should be blocked! 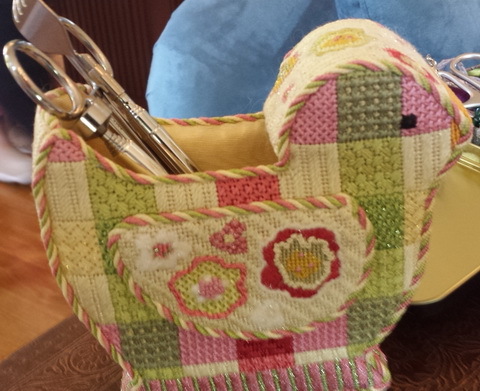 Whatever you use there are a couple things you need to do before you block any needlepoint. 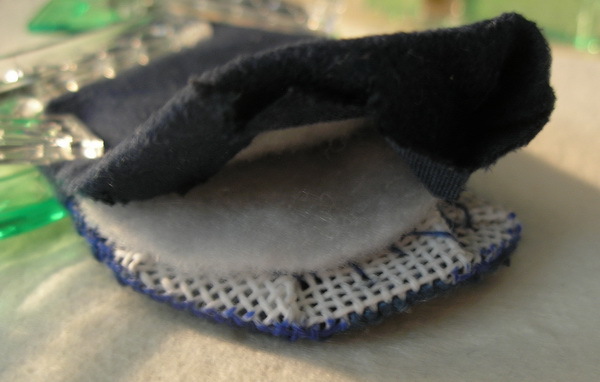 You need to remove the selvage of canvas if it is still on your canvas. 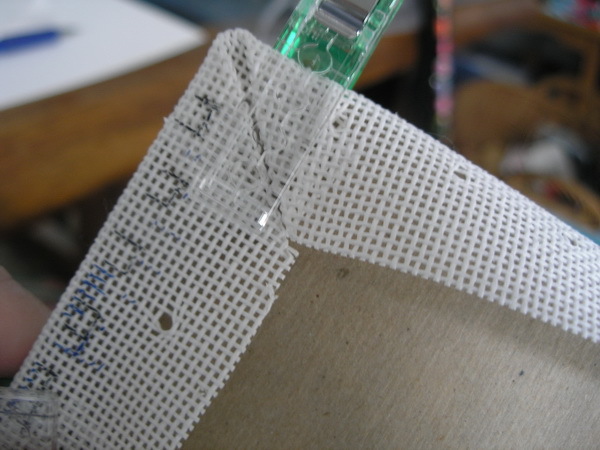 You need to remove the tape from the canvas…you really should do this as soon as you are finished stitching. Tape is not good for long term on canvas. …if your canvas still has the selvage on it cut it off…hopefully this will still leave you room to block piece. 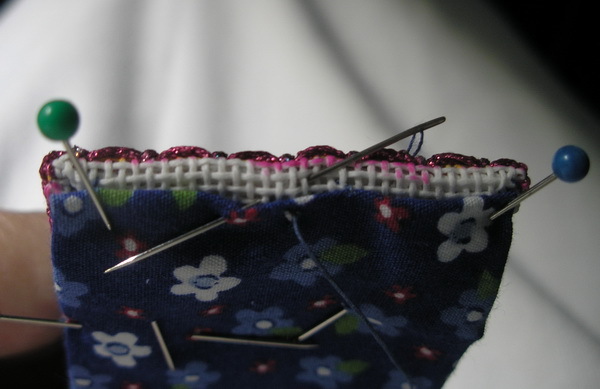 If not, for now just clip through the selvage like you are clipping a curve, block and then remove. And shame on the designer or teacher who put her design too close to the selvage. 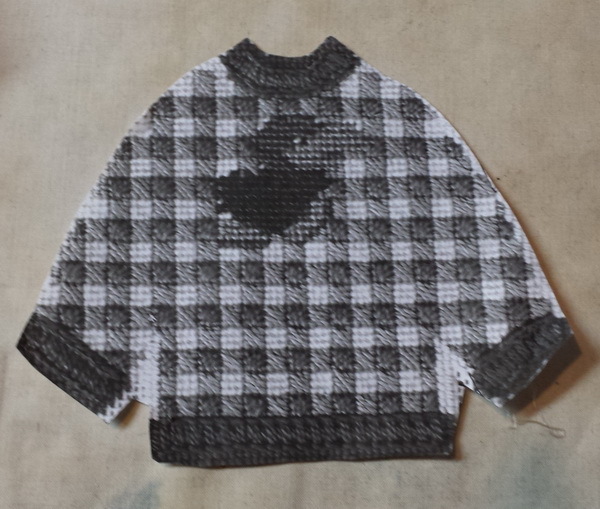 Blocking is hard on the fingers and the fingernails. You have to pull the canvas taut. 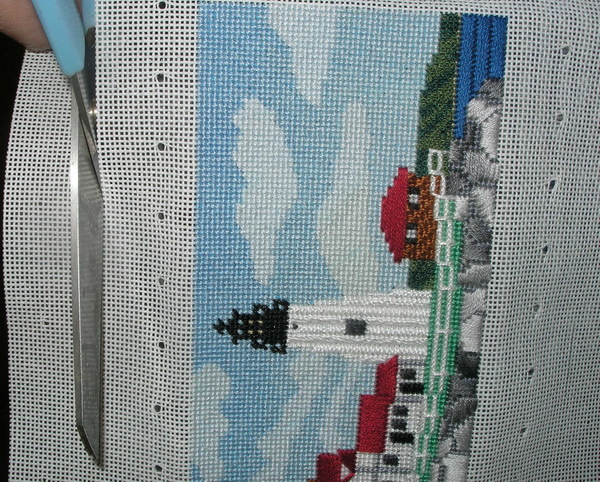 I start to pin my needlepoint in the upper right corner. I pull the canvas taut and pin the top first (it does not matter whether you pin across the top or down the right side first whichever you prefer) The two things that are important are that you pull the canvas taut AND you pin in the same ditch, channel, between two parallel canvas threads (straight line) across the canvas. 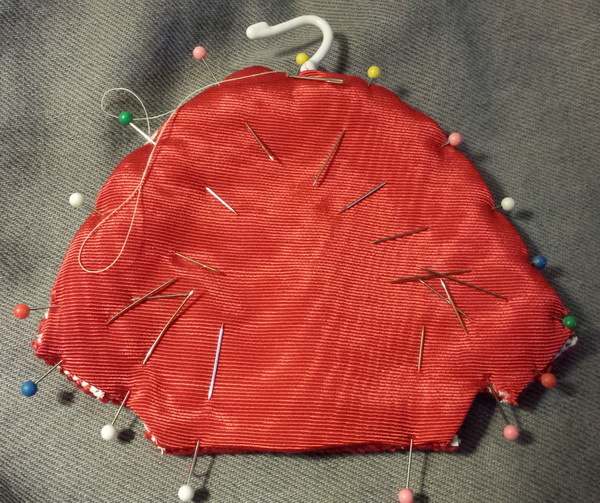 Next I pin down the right side, pulling taut and following a straight line. Next is the left side and then across the bottom Sometimes my bottom pining will be off a canvas thread or two, but what matters is that the canvas is square with no waves or puckers. 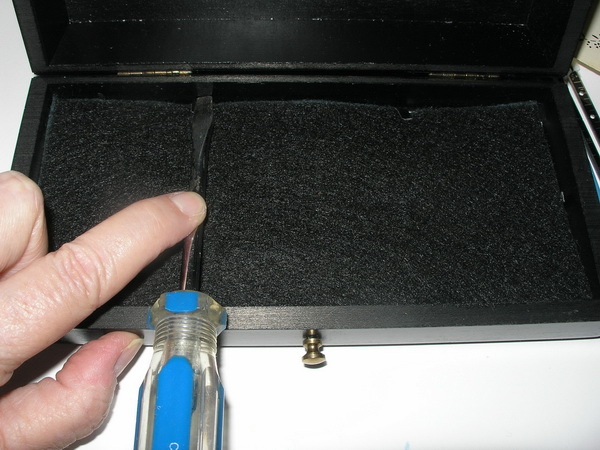 Adjust pins by pulling canvas if you have waves or puckers. To dampen or not…NEVER if silk or overdyes are used. I have a steamer and a mister but unless badly distorted (you must not have used your stretcher bars…shame on you) I seldom use water on my needlework. 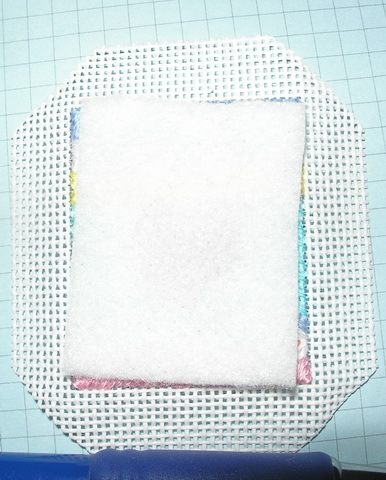 If I do, I put a towel under the blocking board and I mist very very lightly and leave the blocking board lying flat. You are going to love this reasoning…it makes no sense but it makes me feel more secure…I think if the board is flat and the color is going to run it will run down and not sideways. I told you it makes no sense but it makes me feel better. 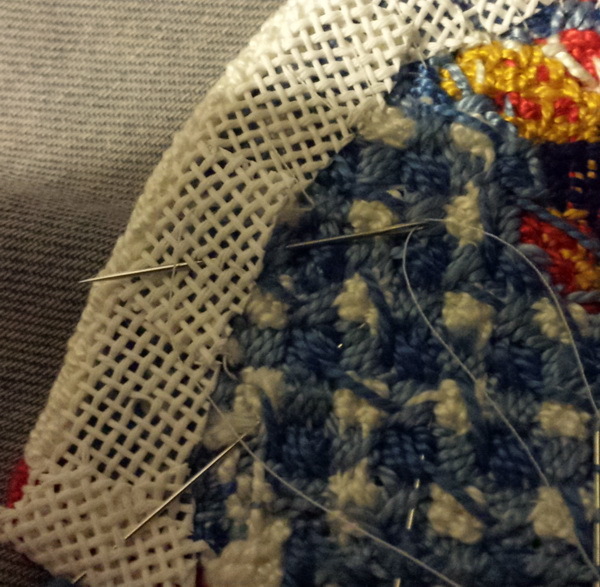 The other thing I have found is if I dampen needlework I have to adjust blocking the second time. 2. Immediately find someone who will lace it for framing. And know that over time it is going to distort again…unless of course you are planning on putting it in a museum where they can climate control it and keep it from the real world. And never let someone talk you into glue for the back or using pelon on the back… needlepoint is stronger than both of these and you will just have a mess. Next we will finish ornaments…I’m good at small stuff. Thank you for stopping by, I hope you have time to stitch today! 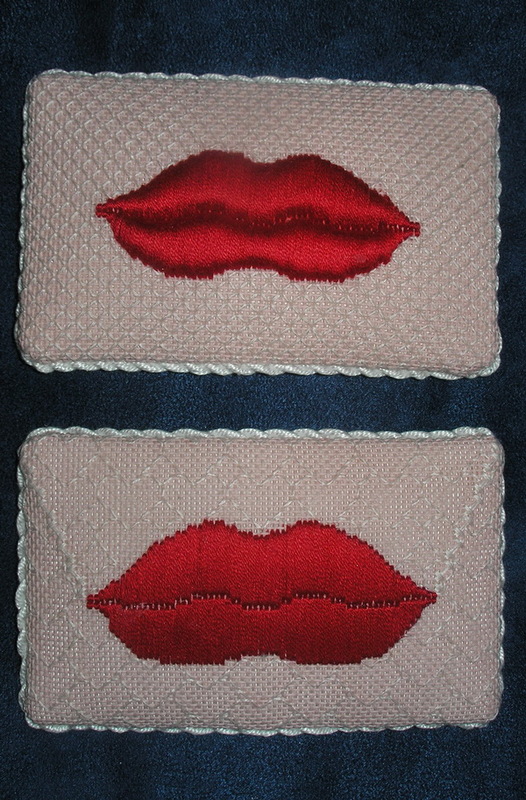 I stitch even if I am finishing too…never want to run out of things to do…lol.